Can his legacy survive the Trump administration? In the complicated field of American foreign policy, one of the signal successes of the Obama administration was the work of Secretary of State John Kerry. Kerry emerged as a relentless and tenacious peacemaker during his time in office. He continually showed his willingness to go all-out—use diplomacy, talk to foes, pursue negotiations, issue public pronouncements, take repeated overseas jaunts, and even, on occasion, broadcast threats to help reach sensible objectives. In his efforts, he acted as a progressive and a realist about planetary affairs, especially about the need for diplomacy over war. Kerry, in his way, restored much of America’s influence around the globe and blunted much of the chronic resentment nations have felt toward the United States. That was part of his essential character. It was evident, for example, last month in the fracas over the US decision to abstain on the Security Council resolution condemning Israel for expanding settlements in the West Bank. In a passionate speech, Kerry contended that the United States was trying to save the Jewish democratic state, not undermine it. He reminded the Israelis that the spreading of their settlements could eventually destroy the possibility of a two-state solution in any future Israeli-Palestinian peace negotiations. Without two states, he argued, Israel could be headed to a one-state solution where the Palestinian Arabs would ultimately outnumber the Jews. Still the US abstention and Kerry’s remarks ignited a firestorm of anger in Congress. As one who had devoted nine months of his tenure to trying to end the Israeli-Palestinian strife, Kerry stalwartly stuck by his stance—damn the consequences (though always staying in touch with his prime adversary, Israeli Prime Minister Benjamin Netanyahu). 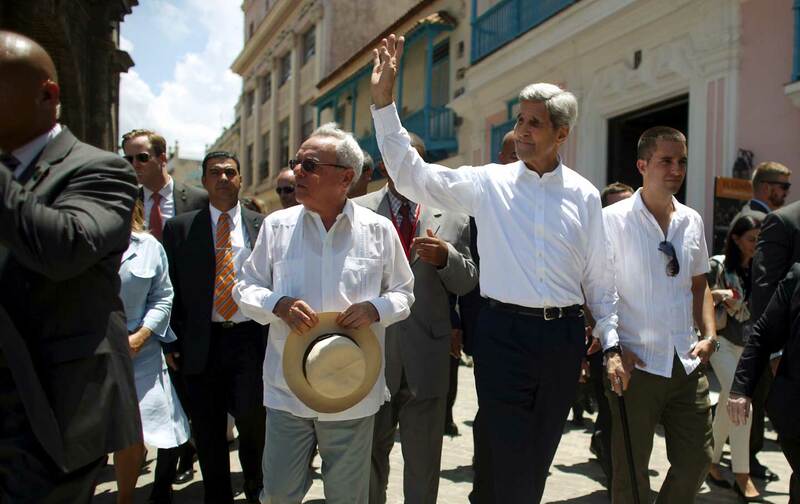 One can trace Kerry’s belief in the power of tough and patient diplomacy to other crises that he handled. For example, in negotiating the Iranian nuclear deal, despite loud outcries against the agreement from Republicans and even some Democrats in Washington, Kerry kept at talks with the Iranian Foreign Minister Mohammad Javad Zarif in Geneva and elsewhere during months of difficult encounters. He ultimately finalized a deal whereby the Iranians would give up their efforts to build nuclear weapons (for a period of over 10 years) in exchange for the United States and its allies dismantling their sanctions on Tehran. The bargain has held since then—even in the face of continuing intense right-wing opposition in the US Congress. Even more so, Kerry plunged directly into the Afghanistan political mess. First, as a senator in 2009, he helped convince President Hamid Karzai that he should agree to a runoff in that country’s presidential election because of widespread evidence of voter fraud (the runoff did not occur because Karzai’s opponent dropped out)—an accord that saved President Obama from further turmoil there. Then in 2014, as secretary of state, Kerry knocked heads together in Afghanistan’s subsequent presidential contest when it was once again found to be marred by fake balloting. This time he got both candidates to consent to an awkward co-presidential stewardship of the Afghan government, a compact that still holds together three years later. The Paris Agreement on climate change was another direct result of Kerry’s steady but intense focus on diplomatic engagement. This is an arena in which he was deeply experienced: As a young senator, he had pressed for improving the planet’s environment at various UN conferences. Following the lead of President Obama and the UN’s Ban Ki Moon, Kerry helped convince 195 nations to attend the Paris talks and sign a consensus pact to lower greenhouse-gas emissions. By 2016, 194 nations had inked the deal and 125 had ratified it. While totally voluntary, the accord represented an enormous step forward in the battle against global warming. Kerry’s greatest disappointment was the Syrian civil war. At one point, he was able to negotiate with Russia for the removal of chemical weapons from the conflict, but not an end to the carnage. Against the greatest odds, he invested immense energy and time attempting to forge an accord with the Russians for a political settlement to the conflict—to bring about a cease-fire and a transitional Syrian government and elections. But the Russians would not budge on the matter of ousting the Syrian dictator Assad. At the time, Kerry was not averse to considering the use of US force—namely, airstrikes—against Assad to break the deadlock, but Obama did not view Syria as a strategic interest, and refused to sign off on such action. Meanwhile, the United States continued to finance and arm disparate groups of anti-Assad rebels. Eventually, US policy began to turn toward allowing Assad to stay in power. By that time, however, a Russian-Iranian-Turkish coalition had taken over in Syria, excluding the United States. As Kerry was leaving, Moscow suggested that it might invite the Trump administration to participate in peace talks. Kerry worked on dozens of other less noteworthy but still important matters during his tenure: the reestablishment of relations with Cuba, the opening to Burma, the efforts to resolve the Ukrainian crisis, the military retaking of Mosul in Iraq, the Colombia peace accord, the sponsorship of an Oceans Conference, the strengthening of the Gulf Cooperation Council, the work to stamp out the Ebola and AIDs epidemics, the deployment of UN peacekeepers to African conflicts, the sanctions on North Korea, and plenty more. Given these notable successes, his legacy makes him one of the most significant secretaries of state over the last half-century. The question now is whether his accomplishments will be rolled back by the Trump administration, a regime which is turning out to be far more reactionary than even its most fervent critics could have imagined. Stephen SchlesingerStephen Schlesinger is the former Director of the World Policy Institute and a fellow at the Century Foundation.